Who is an Environmental Scientist? Environmental scientists apply scientific research and methodology to study and address environmental problems such as pollution, conservation, sustainability, and resource replenishment. In many cases, report and grant writing are required. The majority of these professionals work full-time for state governments, though they can also find employment with local governments, consulting services and engineering firms. Work is completed in offices, laboratories, and occasionally outdoors. Job duties performed in the field can sometimes be physically demanding, particularly in inclement weather. The U.S. Bureau of Labor Statistics (BLS) reports that nearly all jobs in the field require at least a bachelor's degree. Study of environmental science provides a broad introduction to natural sciences and includes a variety of science courses in areas like chemistry, earth science, geography, and physics. Students may also take courses in social sciences and the humanities. Environmental scientists must be able to communicate the results of their research to non-scientists, so courses in communication and technical writing are important as well. Complete an internship. Internships can be found with research institutions, government offices, and private agencies. They may be part or full time, and some may provide pay. While completing an internship, job candidates learn how to apply knowledge and skills developed in a degree program. Completing an internship is not required for an entry-level job, but it can strengthen a candidate's application. Some college programs in environmental science include an internship in the curriculum. Focus on course choices. Students in bachelor's degree programs in environmental science should take courses in which they gain experience with computer modeling, data analysis, and geographic information systems. The BLS indicates that knowledge in these areas will prepare students well when they begin to seek employment. According to the BLS, job growth is expected to hover around 15% between 2012 and 2022, with these prospects largely being awarded in the private sector. Environmental scientists can seek employment with private companies looking to comply with EPA regulations while conducting research on their client's behalf on the environmental impact of their projects. Continue education in sustainability. With more and more social and political movements aimed at curbing climate change, environmental scientists are in a unique position to utilize their knowledge of common pollutants, toxins, and methods of increasing sustainability towards assisting organizations, private firms, and government agencies to reduce their consumption and carbon footprint. While a bachelor's degree is the base level of education needed for an environmental scientist job, some employers may prefer or require applicants to have graduate degrees. Graduate degrees may also be essential for advancement in the field. Students in master's degree programs are typically required to complete advanced coursework, as well as perform research and write a thesis based on this research. 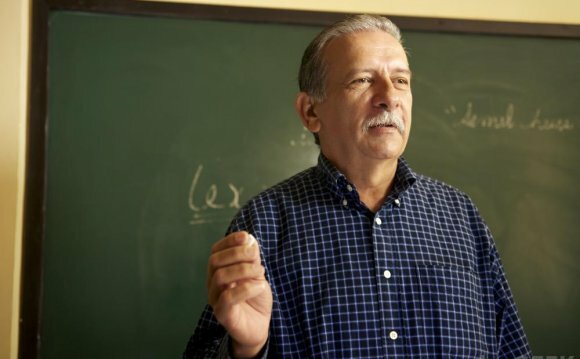 Research management and education roles usually require a Doctor of Philosophy (Ph.D.) degree. Graduate students seeking doctoral degrees work on independent research in an area of interest and write and defend a doctoral dissertation. They are also typically required to complete graduate-level coursework. Positions that combine teaching with research are available at many universities.